AFTER 20 years in senior ranks Thomond will taste the competitive nature of junior rugby in this province from next season despite their great away win over Seapoint yesterday in division 2C of the AIL. They finished just a single point behind Seapoint in the table with the latter now hosting Clonmel in a promotion/relegation fixture. There was better news for the other team in 2C, Bruff showing great form take a winning bonus point from their meeting with Midleton in Kilballyowen. These two sides will now meet in the top four promotion game. It was also a bad day for Shannon who drop to 1B after their defeat at home to 1A league leaders Cork Constitution in Thomond Park. 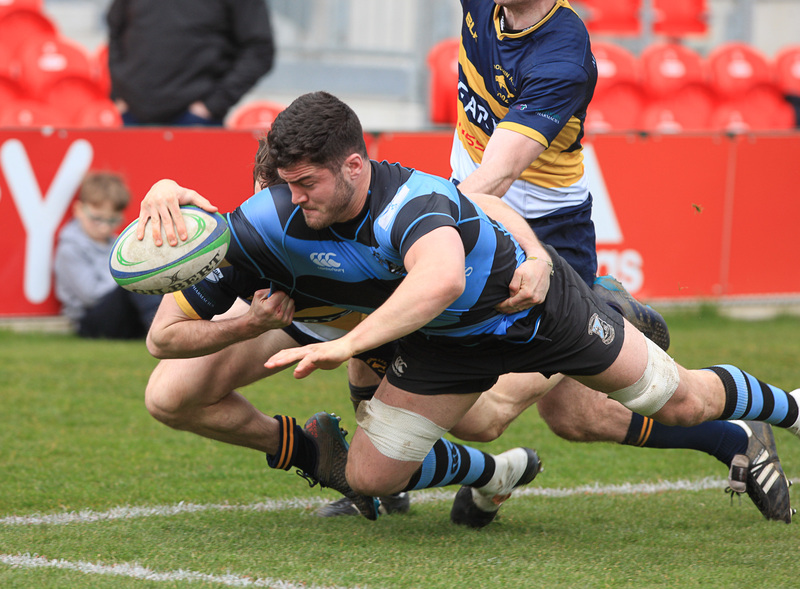 All of Limerick’s other clubs in the AIL were beaten yesterday, Young Munster losing to Terenure and Garryowen well beaten by Dublin University. In 2A UL Bohs and Old Crescent also lost. Here are all the details, scorers fixtures and league tables. Dublin University: 1. Azis Nasar, 2. Joe Horan, 3. Dylan Doyle, 4. Reuben Pim, 5. Cian O’Dwyer, 6. Jonathan McKeown, 7. Max Kearney, 8. Niall O’Riordan, 9. Rowan Osborne, 10. James Fennelly, 11. Ronan Quinn, 12. Philip Murphy, 13. James Hickey, 14. Cian Crotty, 15. Michael Silvester, SUBS: 16.Caolan O’Flynn, 17. Bart Vermeulen, 18. Arthur Greene, 19. Paddy Hamilton, 20.Conor Lowndes. Scorers: Lansdowne: Tries: Peter Sullivan ; Pen: Scott Deasy. St. Mary’s College: Tries: Mark Fallon, Dave Fanagan, Mark Fogarty. Old Belvedere: Tries: Penalty Try, Ethan Baxter ; Con: Steve Crosbie.